Next Wednesday the conductorless 12 Ensemble performs in Birmingham University’s sparkling new Bramall Music Building, and for three of its members it will be like coming home. The trio of Ruisi brothers have their Anglo-Italian family home in Edgbaston, but all three of them have branched out into busy musical careers networking out from London. Birmingham was where they learned their craft, as cellist Max explains. “We all went to Harborne Primary School, before each going off to different secondary schools. It was at primary school that I was offered the chance to play the cello. “I’m not sure I really knew what it was, but I remember going for the ‘audition’ meant getting out of maths that day, so whatever it was, it was an attractive option. Violinist younger brother Roberto moved on from Harborne Primary to King Edward’s School in Edgbaston on an assisted place and a music scholarship, where he completed his secondary school education. And brother Alessandro, another violinist, chips in. “My musical education started with the most wonderful violin teacher, Lucy Akehurst. She is extremely dedicated and has produced a scary number of professional musicians hailing from Brum! The remarkable thing is that there is no previous history of musical talent in the Ruisi family, yet the brothers have already achieved so much. Max has a busy career both in chamber music (in which he also coaches student ensembles) and orchestral music, performing with a range of major professional orchestras; Alessandro has developed an enviable reputation in both chamber and orchestral music, and is co-leader of the European Chamber Orchestra as well as Ensemble 12, and Roberto’s lift-off has been truly dazzling, from being appointed the youngest concertmaster in the history of the National Youth Orchestra of Great Britain, through taking a year off his studies to play as a member of the hand-picked John Wilson Orchestra, to guest-leading as concertmaster of both the Orchestre National Bordeaux Aquitaine, and the RTÉ Concert Orchestra in Dublin. Hard-boiled orchestral musicians don’t take kindly to boy wonders, I observe to the still teenaged Roberto. How did he get on? 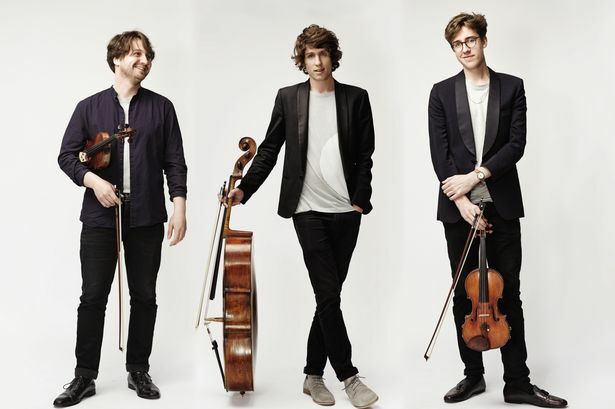 So here we have an assemblage of three hugely talented brothers, all performing in an orchestra which is devoted to performing without a conductor. There must be artistic discussions galore within the ranks; but how about family disagreements? Max is a true diplomat. “I don’t think we ‘argue’ as such,” he says. “We don’t always consider things from necessarily the same angle but I think we learn from and are influenced by each other’s differences. And Max has the concluding words. * Ensemble 12 performs in the Elgar Concert Hall, Bramall Music Building at the University of Birmingham on November 16 (7.30pm).